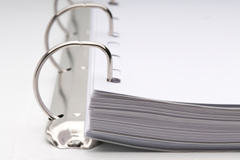 All corporations require a certain amount of record keeping, annual reporting, sales catalogues or procedure manuals. Before you are down to your last copy, come see us. If you only have one hard copy left, let us scan it for you for your records and for future use. 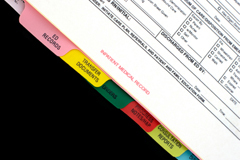 Procedure, Instructions, Maintenance, MSDS, JSA, HSE - you can’t operate without them. Assembled and put into a presentation binder if so desired. If you’re selling a product, clients are going to need to see it along with a description. 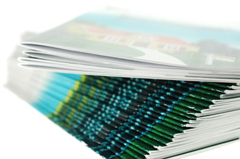 We can help design, print and bind your product catalogue into a neat and presentable package. Your company’s future relies on good reporting. How that is presented can impact clients and share holders and future jobs. 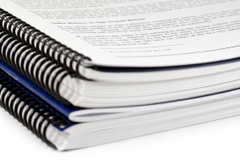 Allow us to work with you in printing these reports efficiently with quality. Your manuals and reports should be easy to navigate through. Custom Dividers or Tab can do just that. From white copier tables to mylar coated custom Tabs. From the basic black on white right up to full color oval labels. Back or face adhesive or static cling. 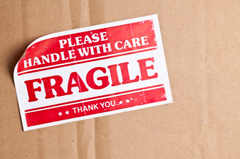 We have the labels for your needs.